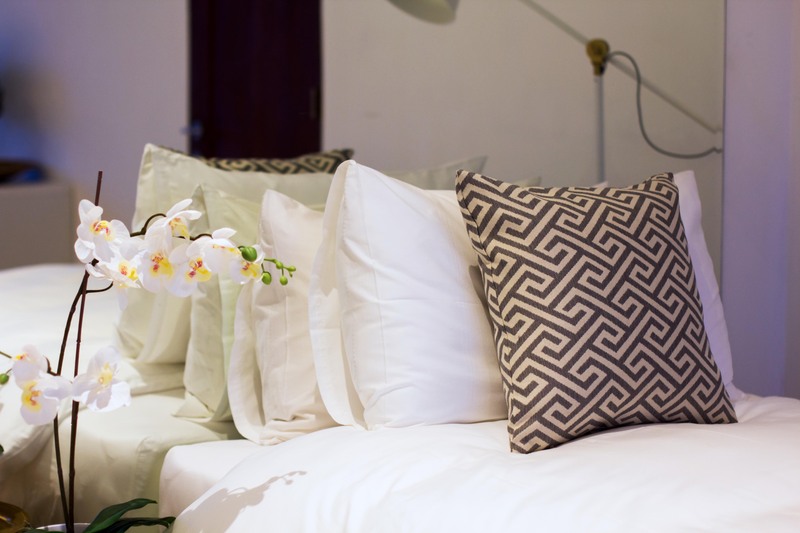 Do you need six bedrooms, four bedrooms or two bedrooms? 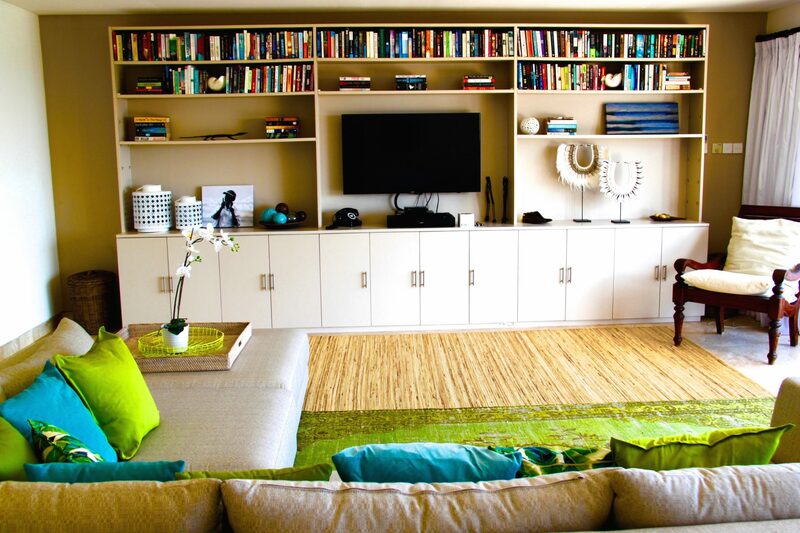 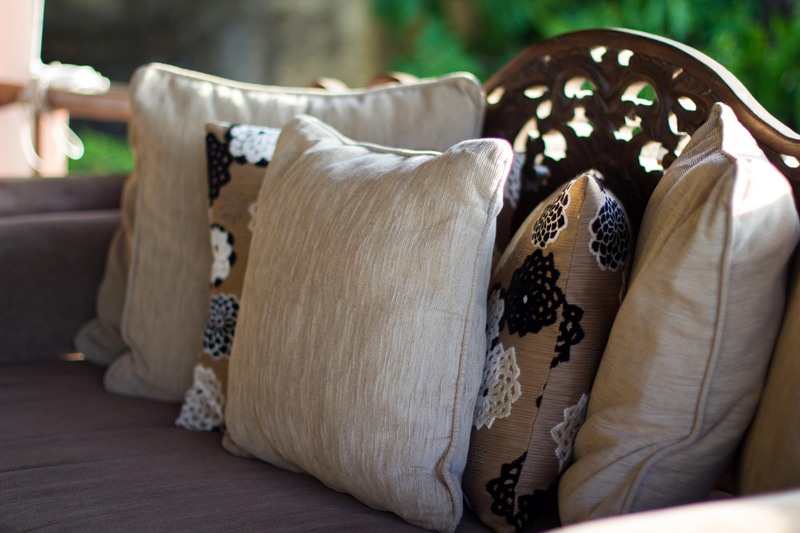 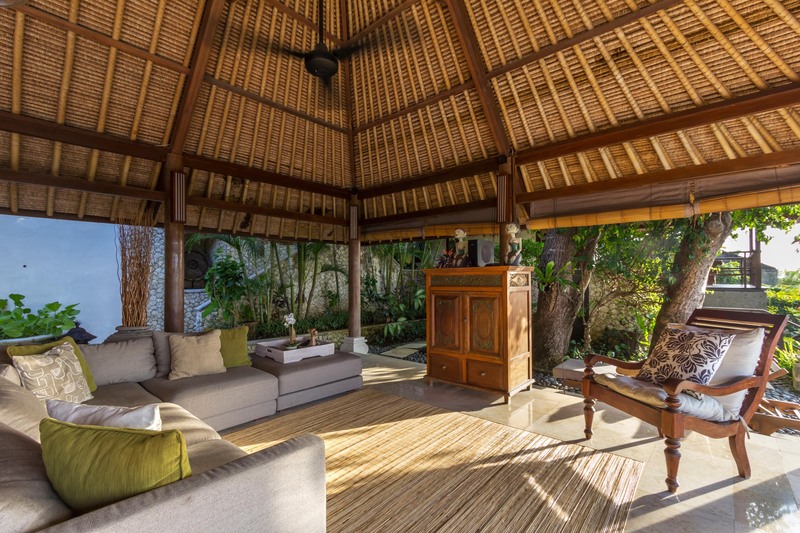 A place for you and your friends and family to settle in, relax and play for days. 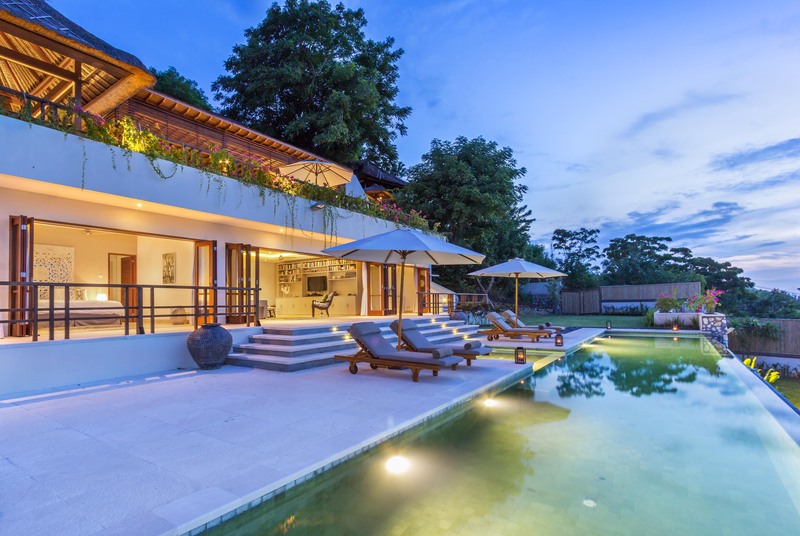 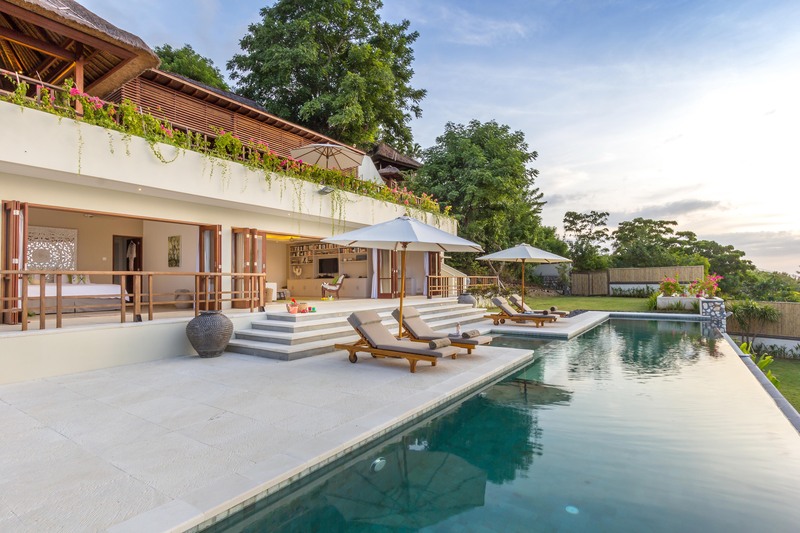 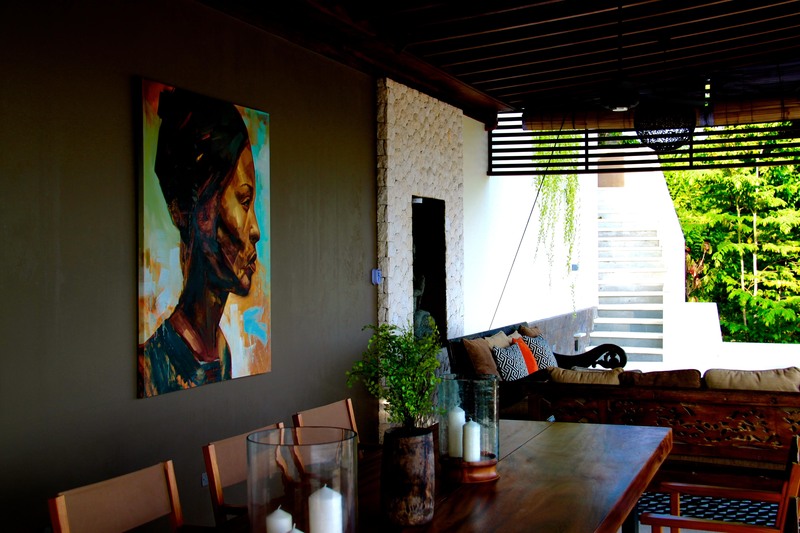 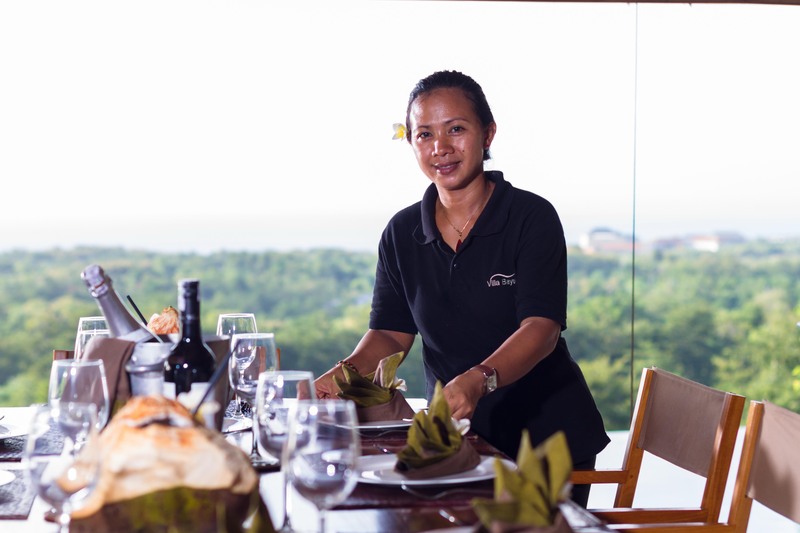 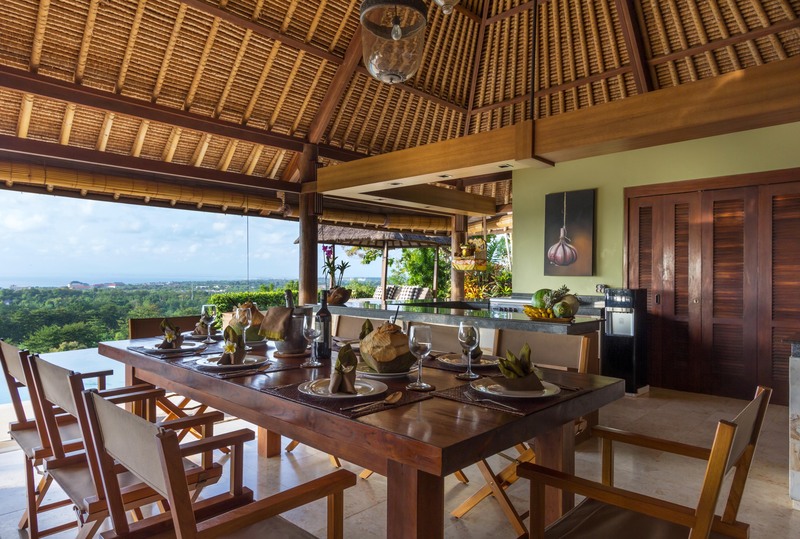 Set in a 2,400 square meter estate, the villa sleeps up to 15 people and there is ample room for time alone, as well as spaces to come together for meals and fun. 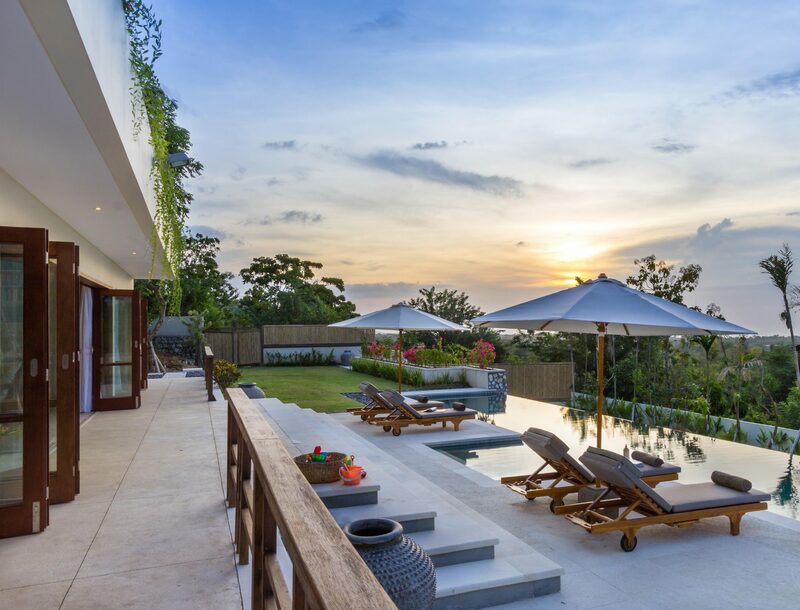 Comprising six bedrooms with indoor, outdoor tropical bathrooms, with an additional bunk bedroom for three children, a cool eight metre plunge pool, an eighteen metre lap pool, two open air living and dining pavilions, a kitchen where the cook will prepare all your meals for you, a bar area just perfect for watching the breathtaking sunsets, an indoor and air-conditioned media room and library and a large garden just perfect to let the children loose in – what more could you possibly need? 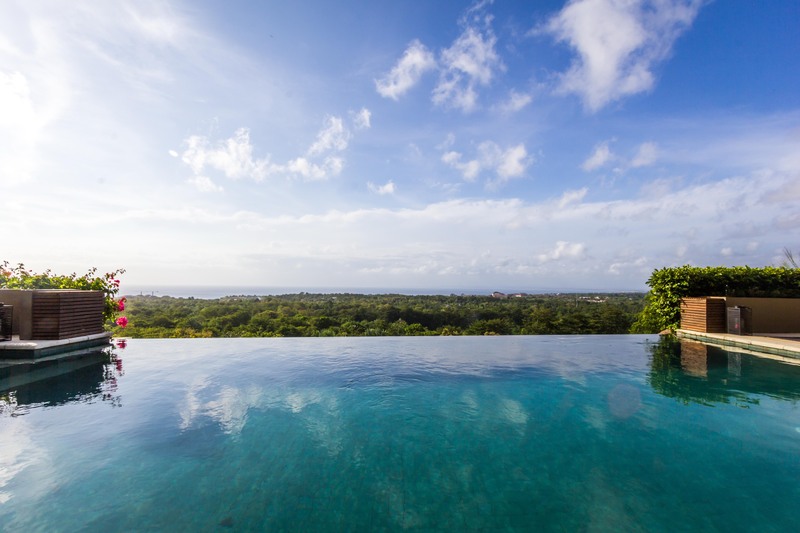 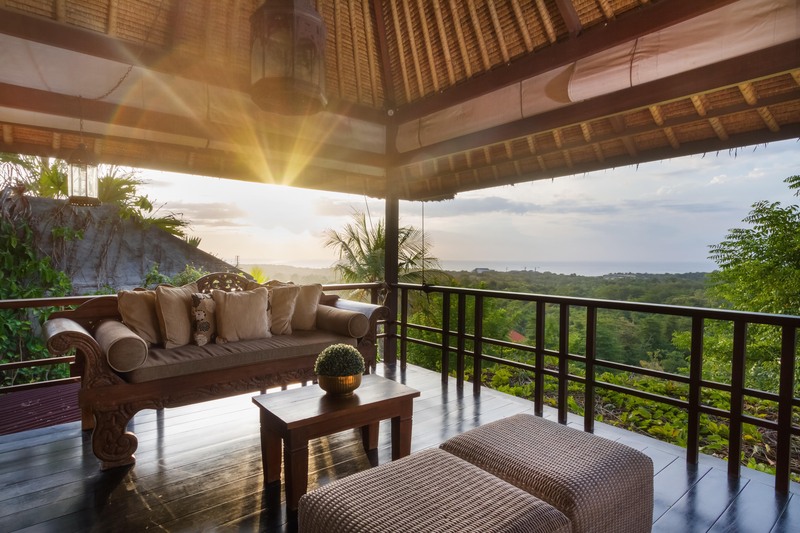 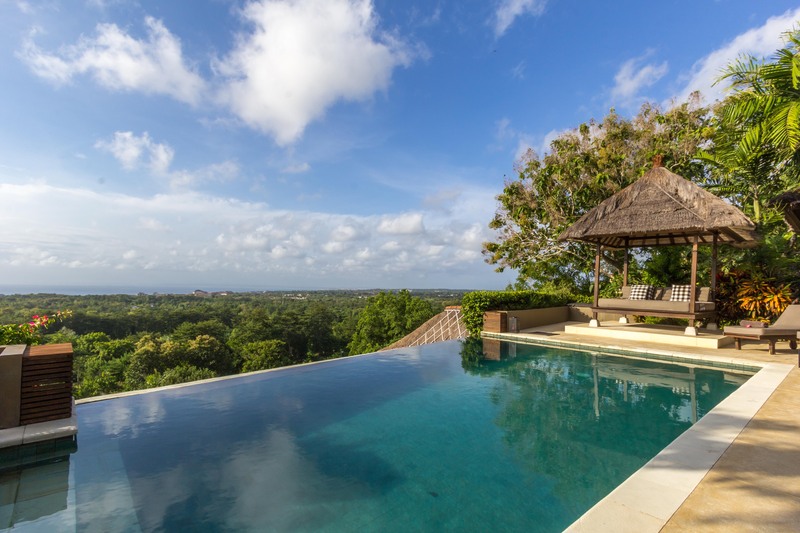 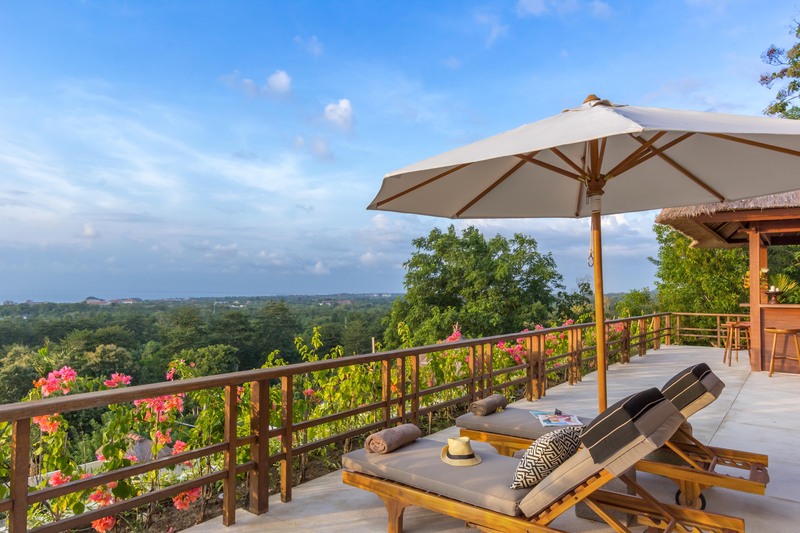 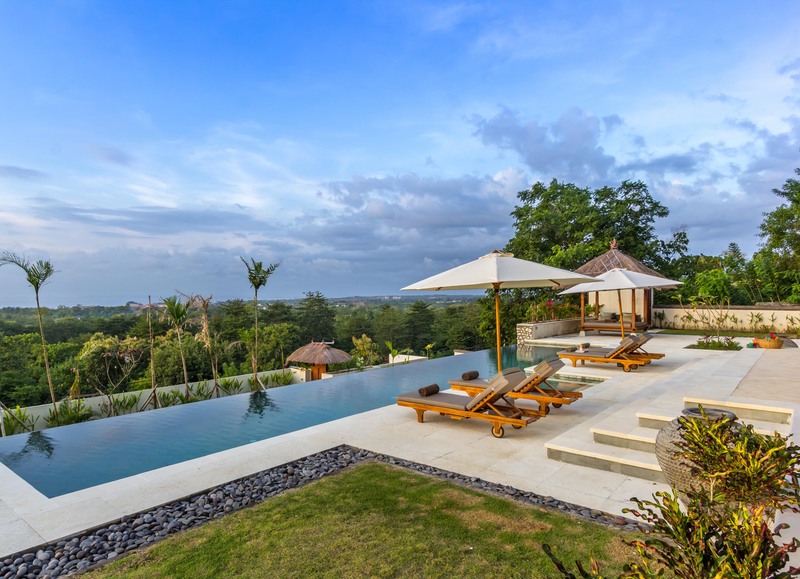 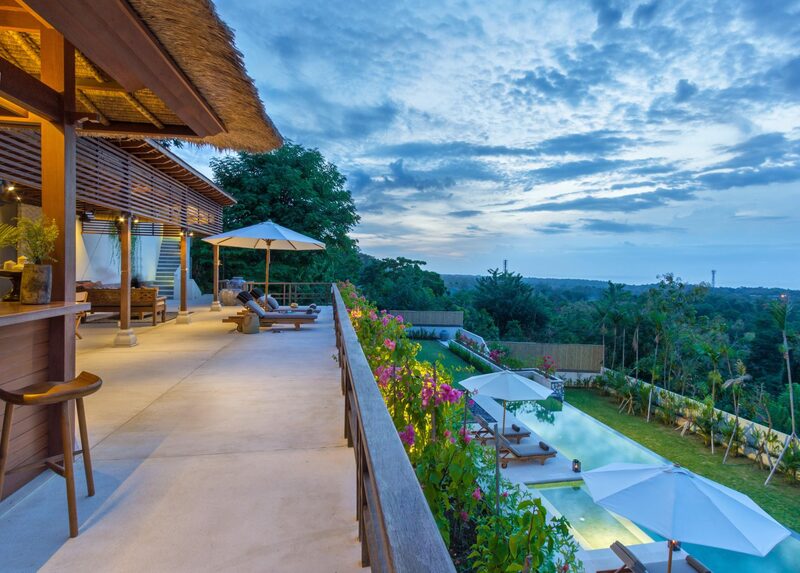 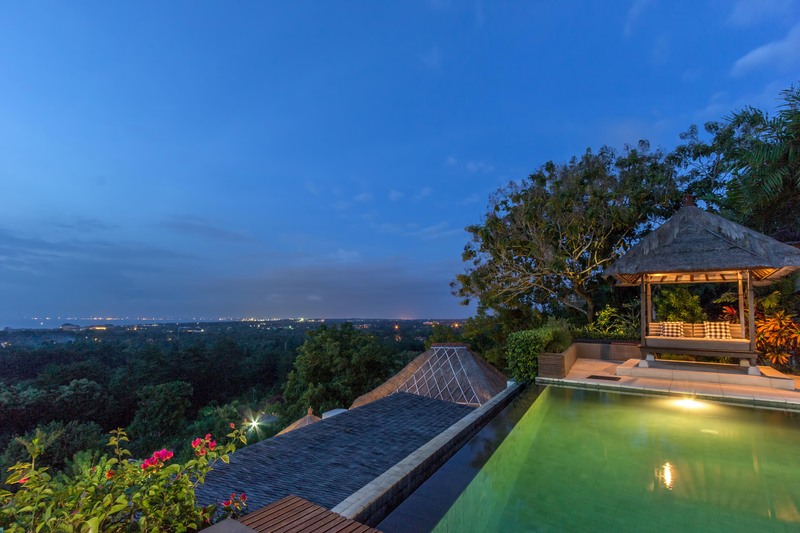 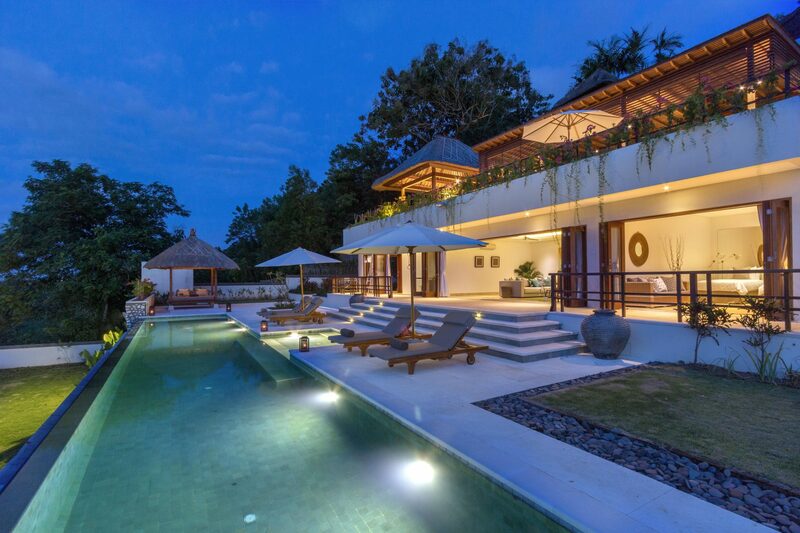 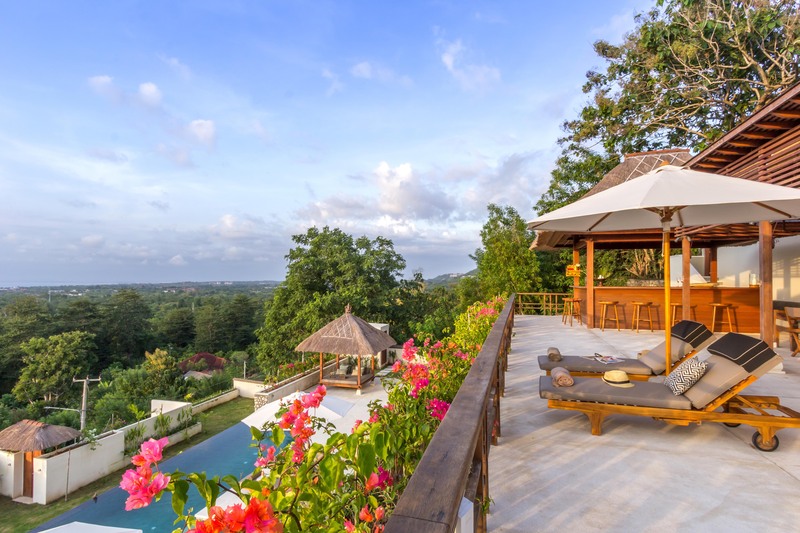 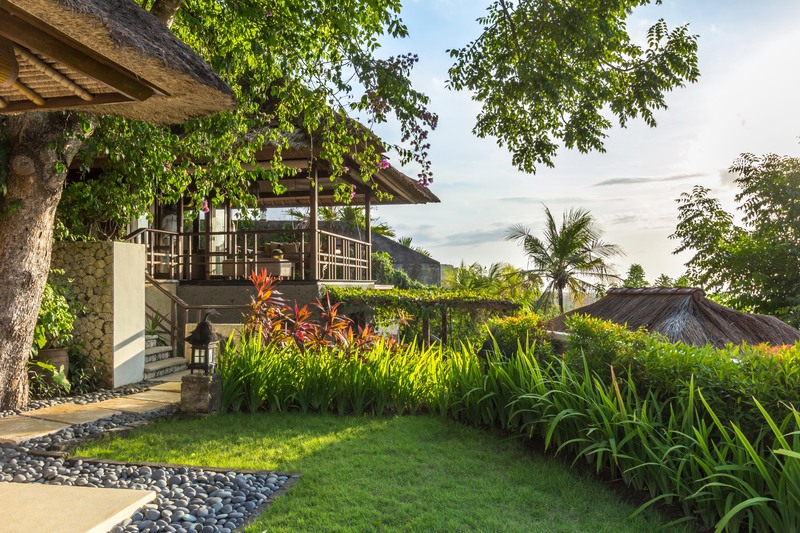 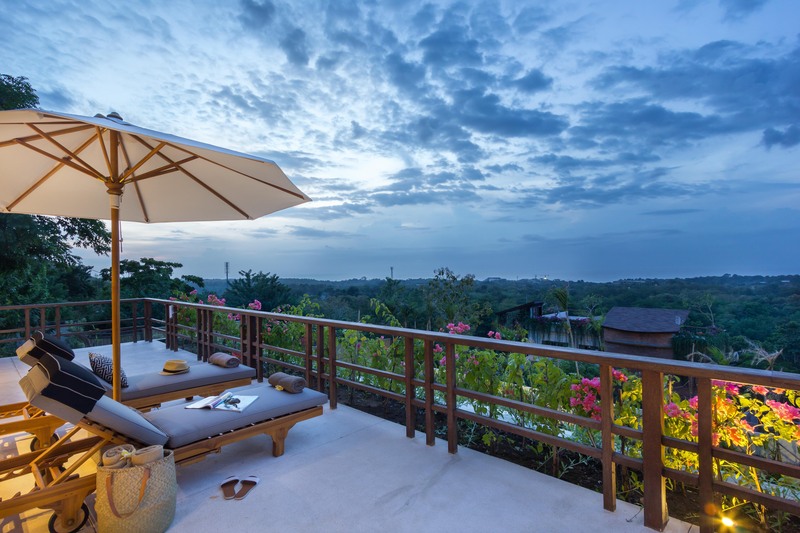 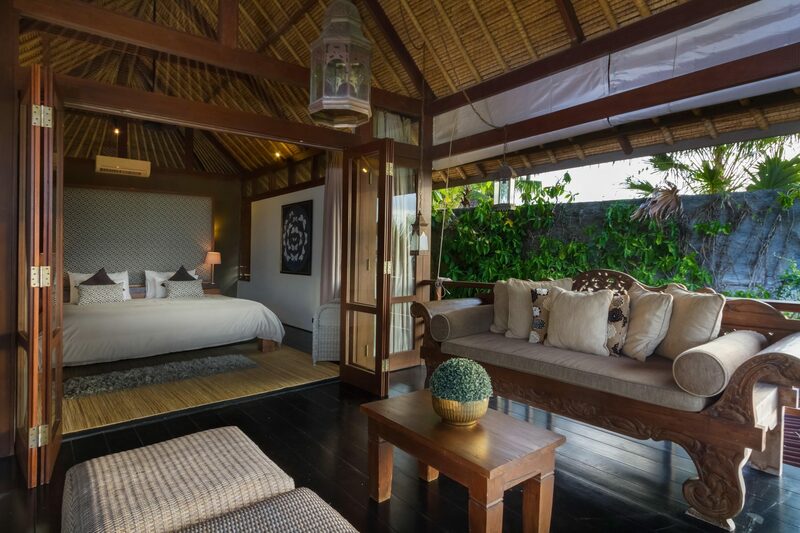 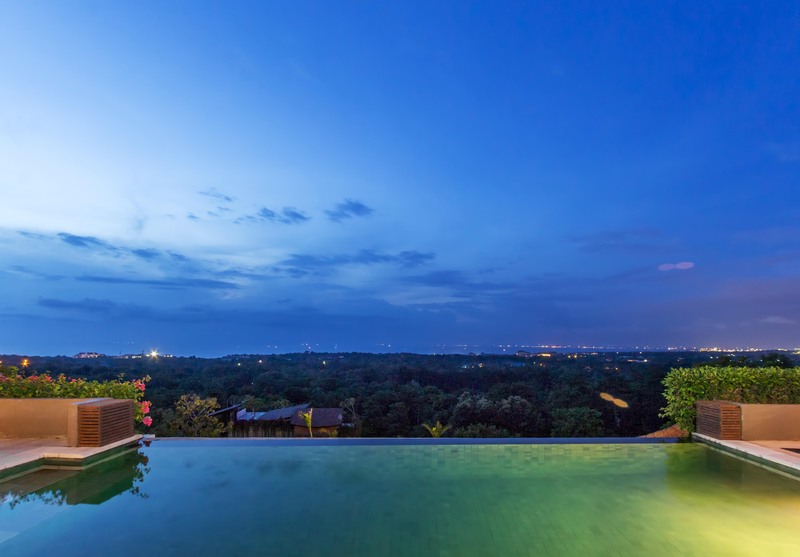 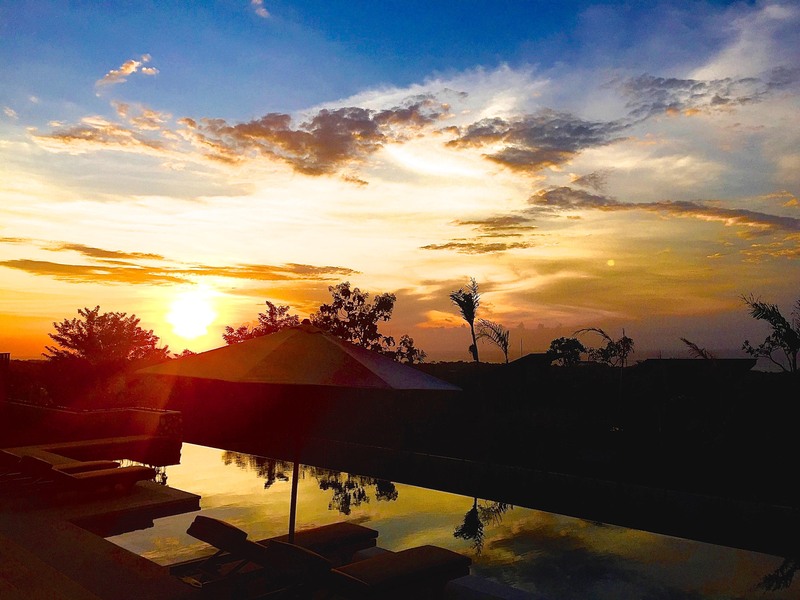 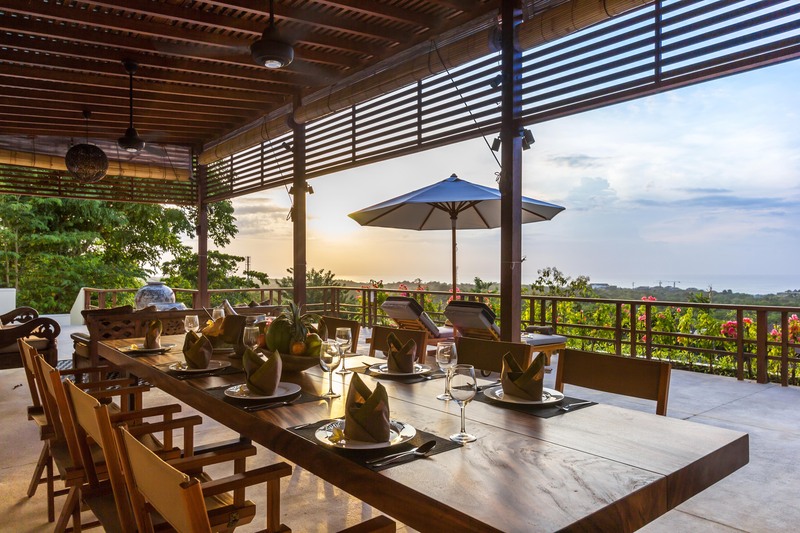 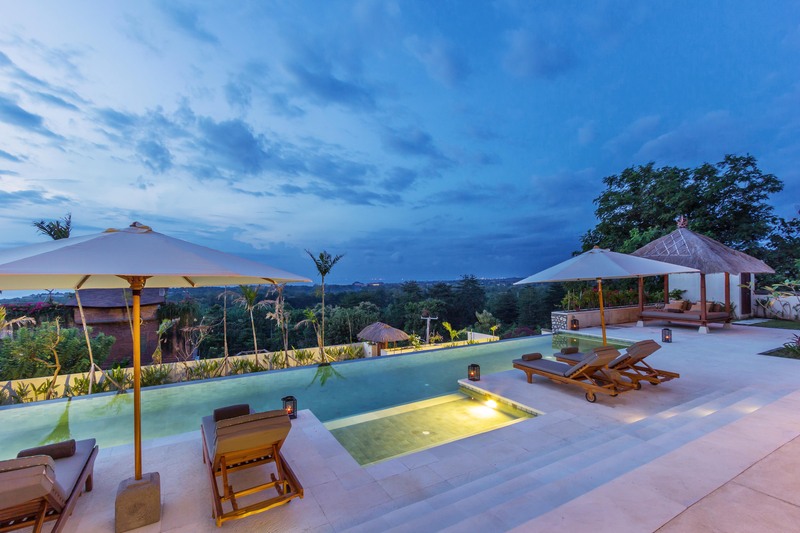 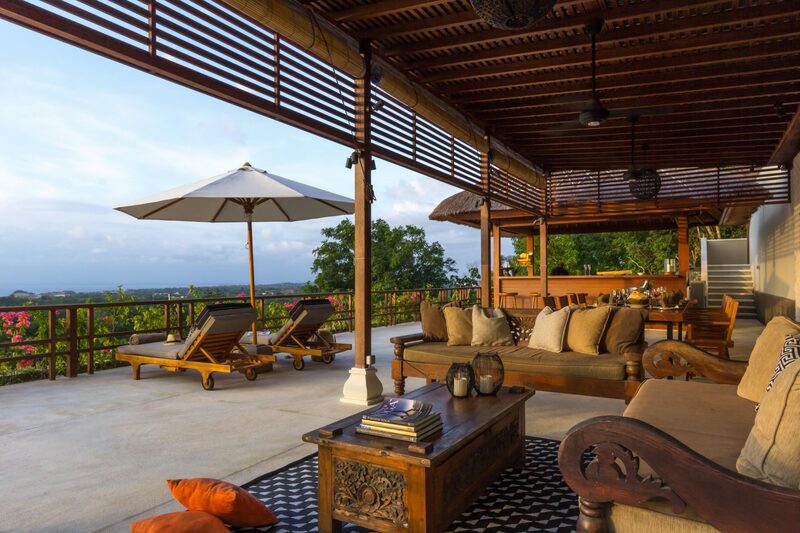 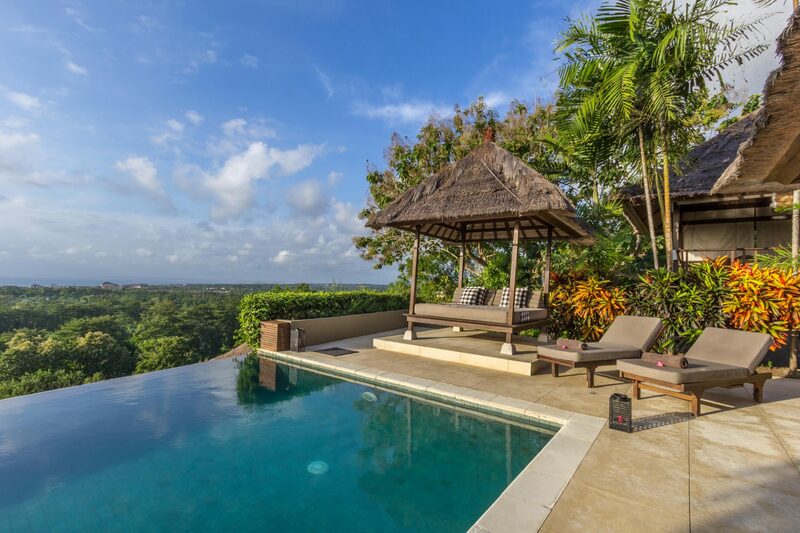 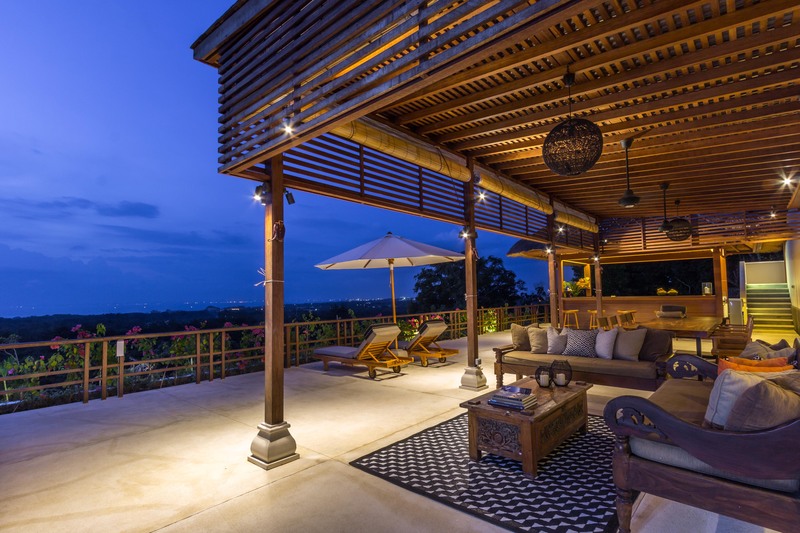 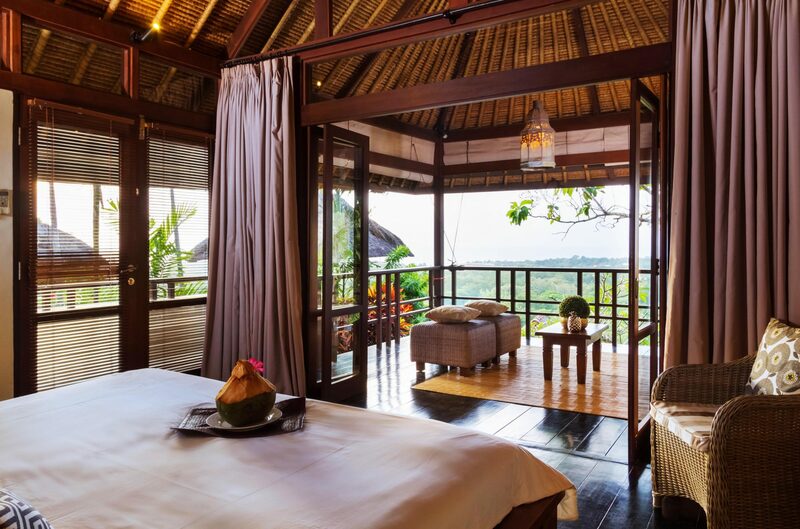 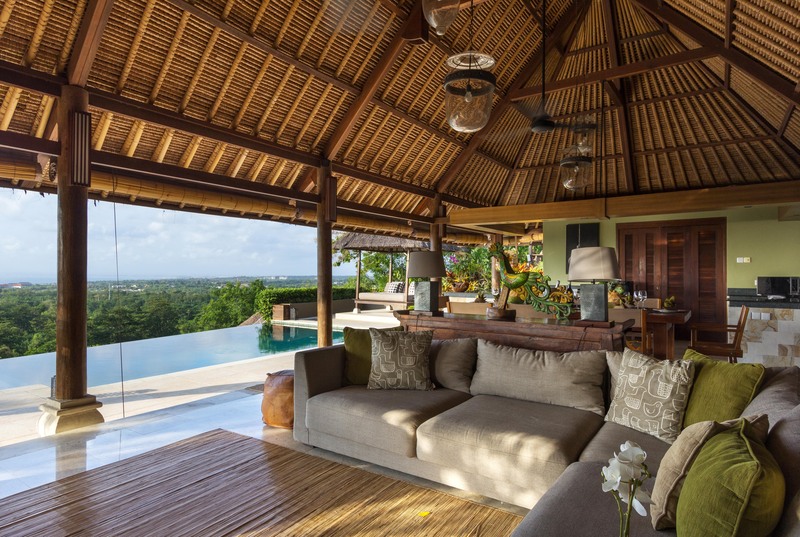 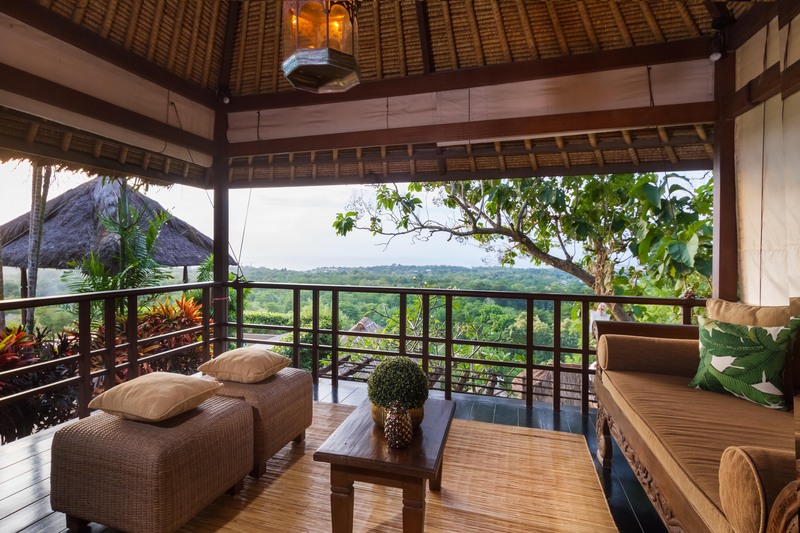 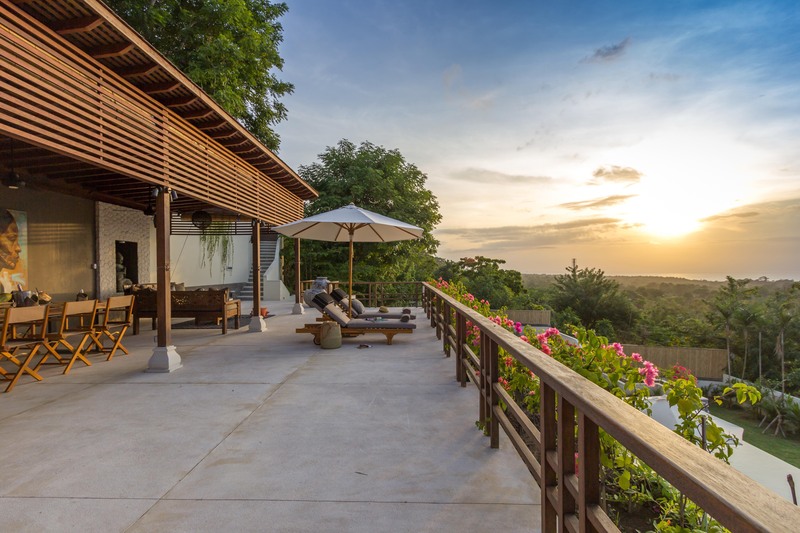 You will feel on top of the world in this beautifully designed villa, where from every room your eyes are drawn to the spectacular view of the expansive countryside and the magical Indian Ocean beyond. 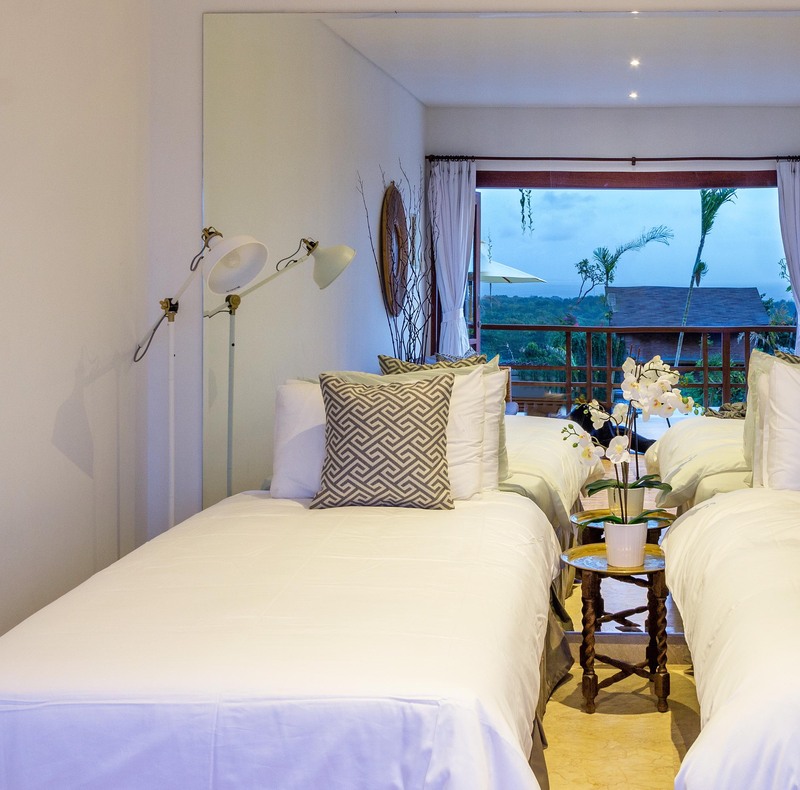 Enjoy the peaceful, private spaces on your verandah, as well as a place to come together with your friends and family in the living, dining and pool areas. 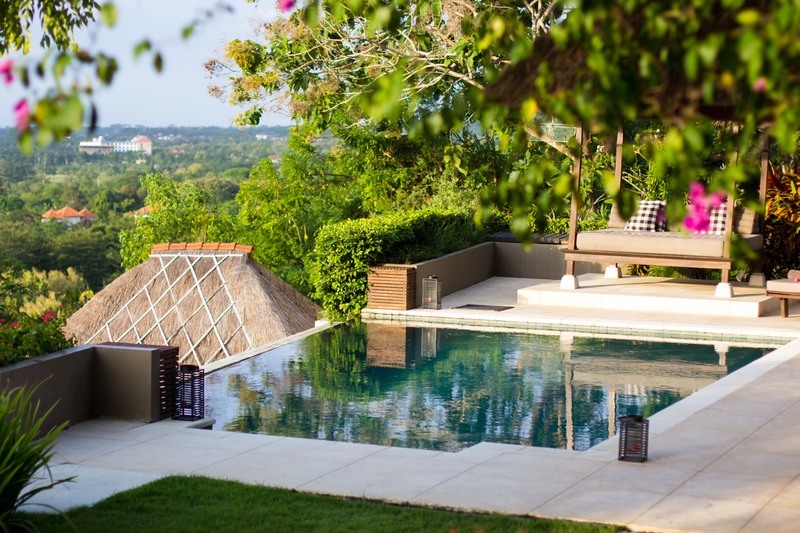 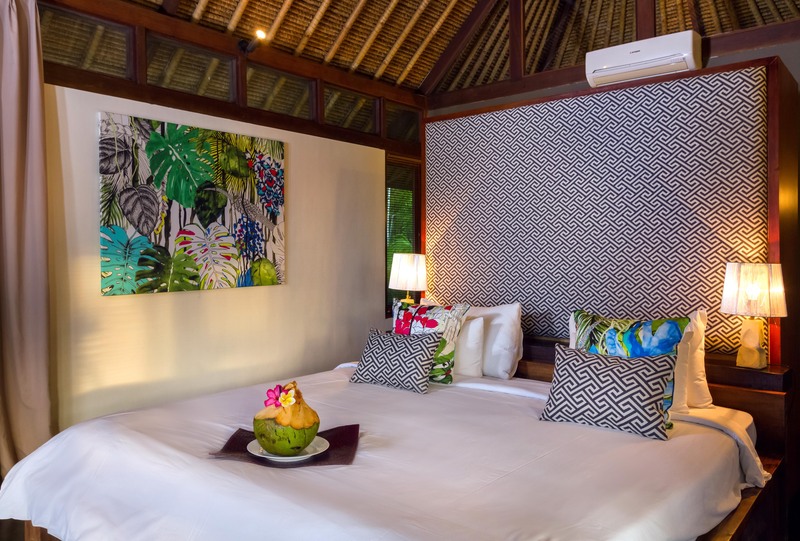 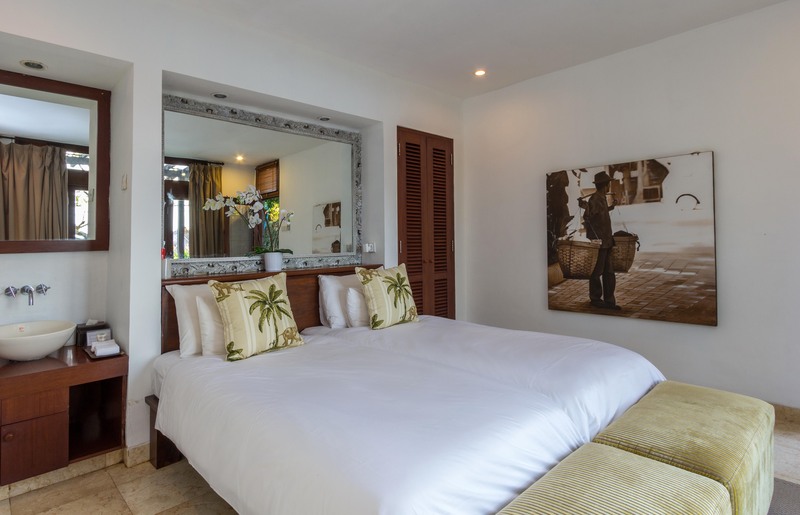 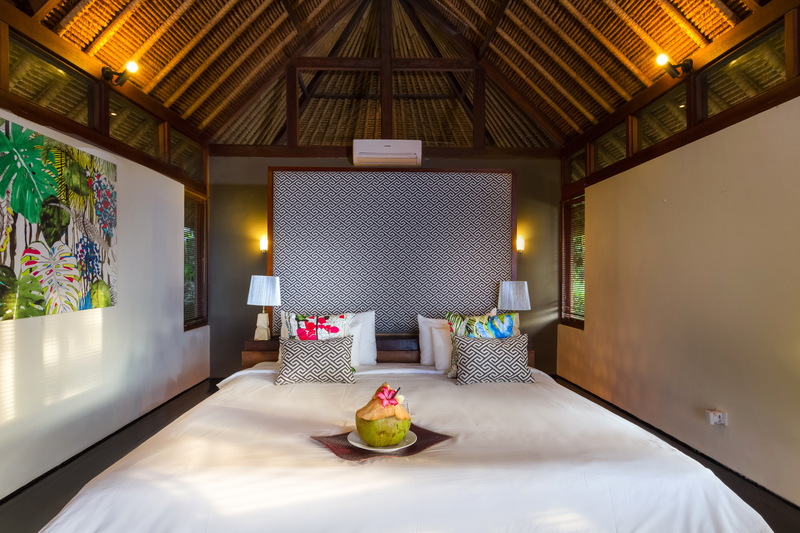 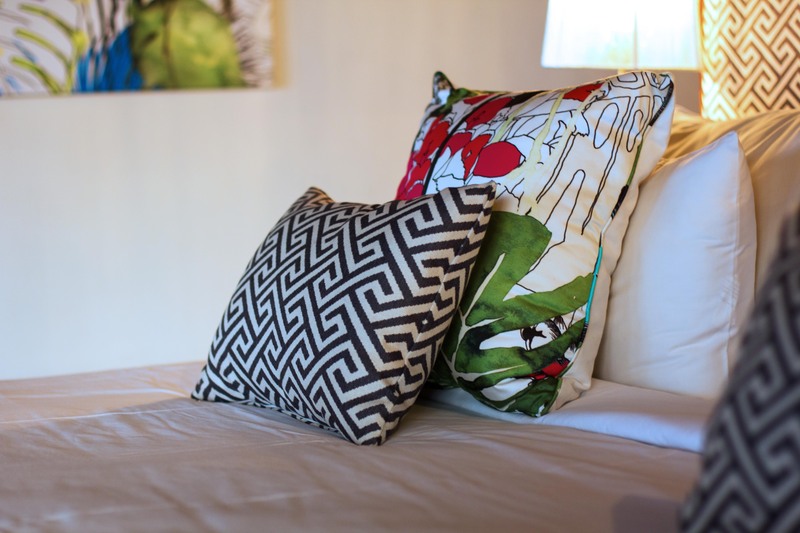 The villa, set in lush tropical gardens, sleeps eight people in two master bedrooms and two twin bedrooms, all with ensuite indoor, outdoor tropical bathrooms and verandahs. 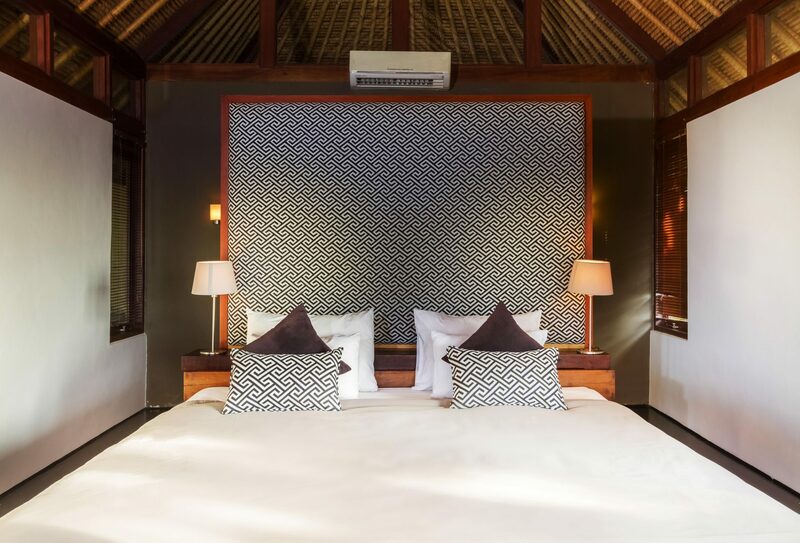 The perfect escape for a family wanting some time on their own, or friends needing a luxury break. 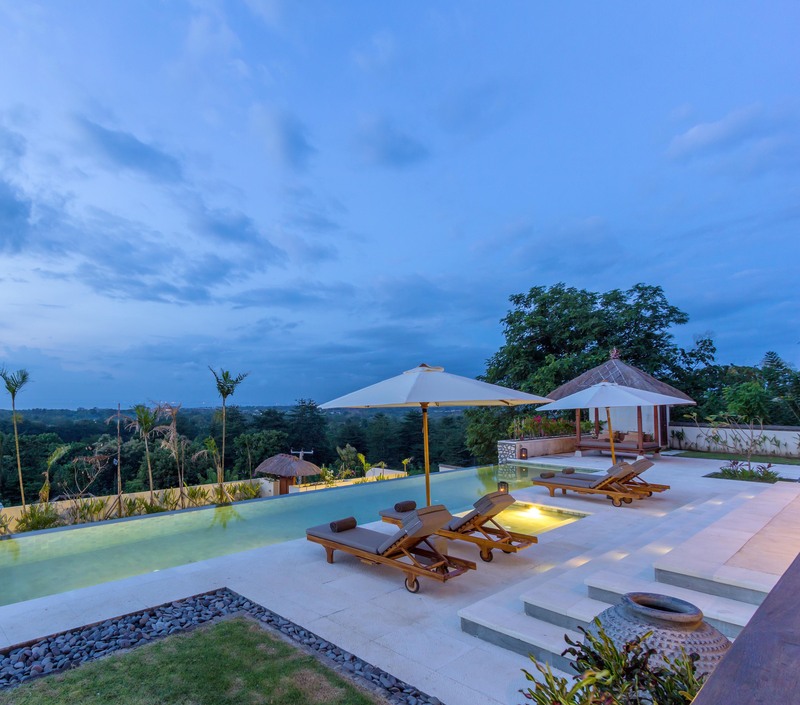 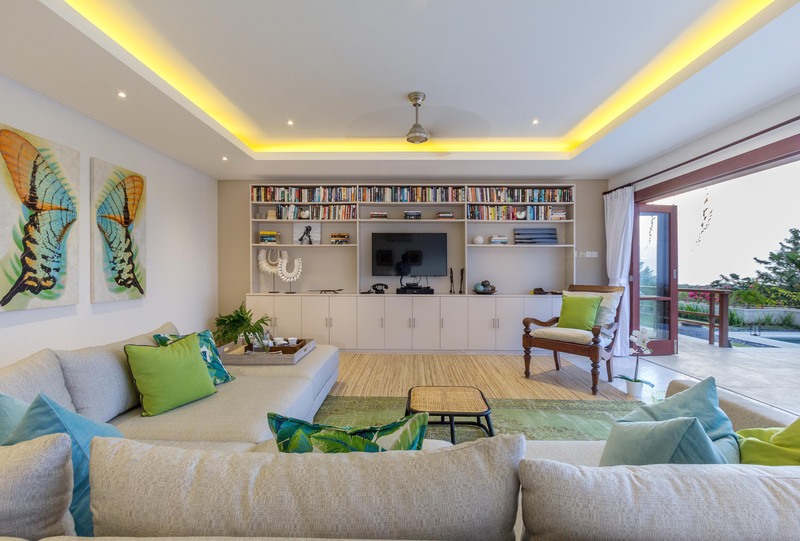 From the large lawn, ideal for a game of football, to the glamourous media room and library, to the eighteen metre lap pool, the sunset deck with dining, living area and a breathtaking view, this villa has an extremely generous amount of space to spread out, relax and have fun. 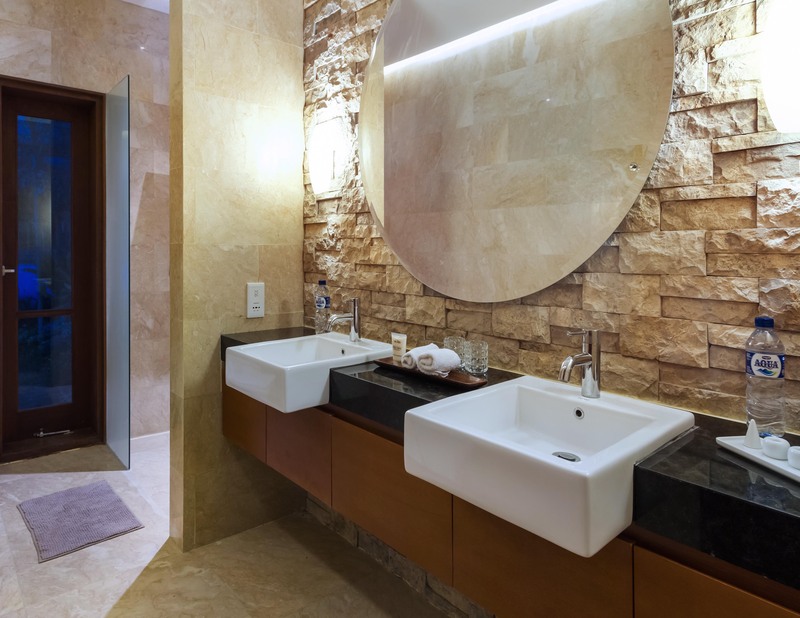 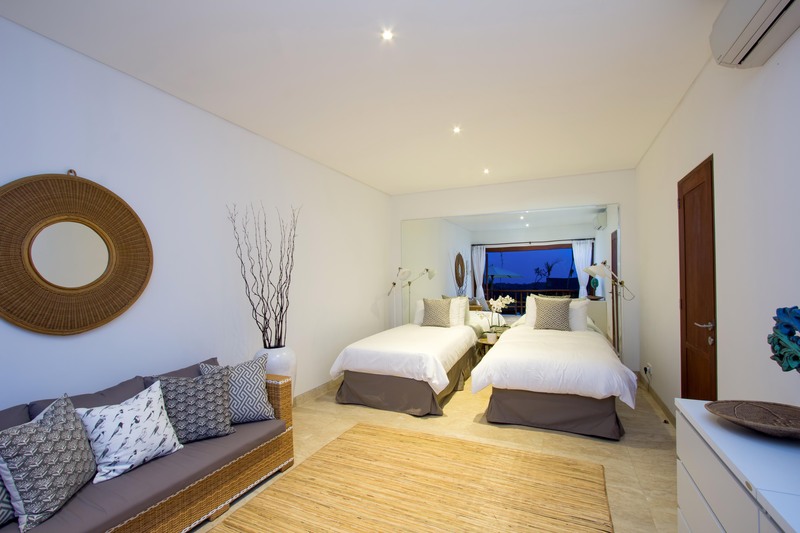 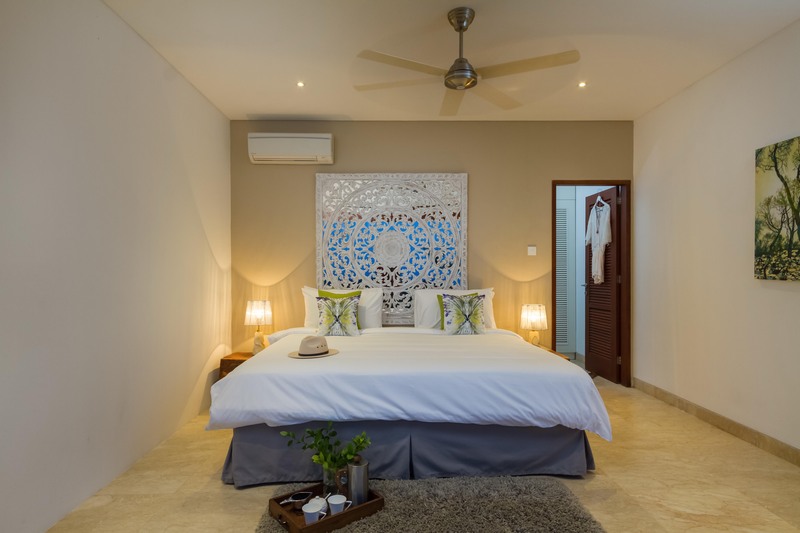 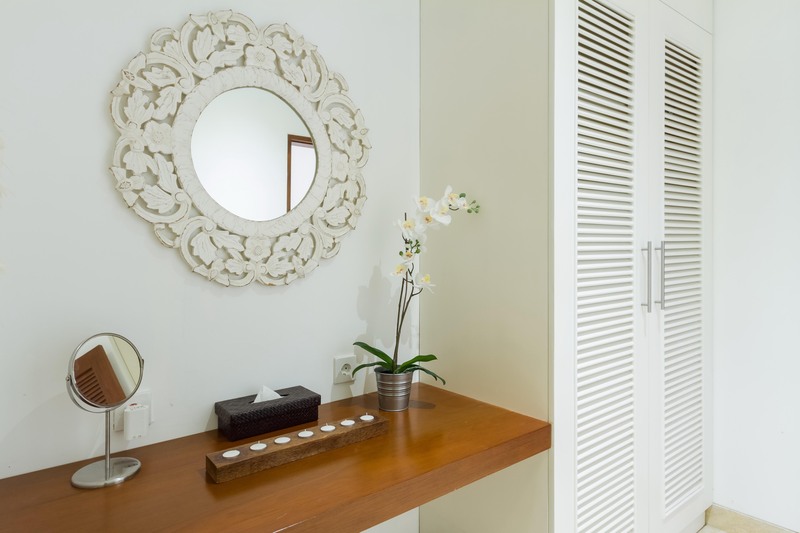 The villa sleeps seven, with a master bedroom and adjoining bunk bed room for three children, as well as a separate twin bedroom, both with ensuite bathrooms.